A permit is required for the direct or indirect discharge of pollutants to waters of the State pursuant to Water Pollution Control, 38 M.R.S. § 413. The Department may issue a general permit authorizing the discharge of certain pollutants pursuant to 06-096 CMR 529. 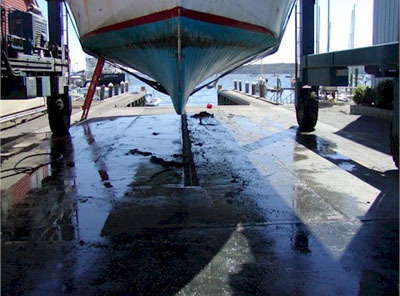 The similarity of discharges from facilities that wash boats with antifouling paint has prompted the Department to issue this General Permit for those facilities located in Class SB or SC waters, except those waters having a drainage area of less than 10 square miles at the point of discharge and those discharging to the Saco River estuary. Contact for permitting: Gregg Wood (207) 287-7693. Contact for compliance: Pamela Parker (207) 485-3038. For statutes and rules applicable to the Waste Discharge Program, please see the Waste Discharge Program page.